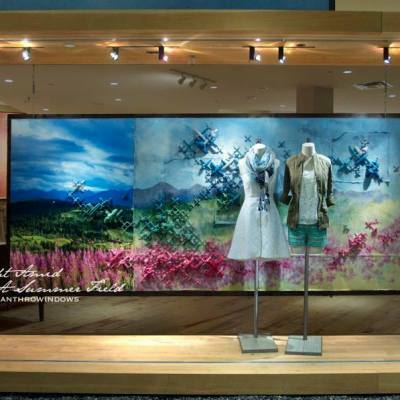 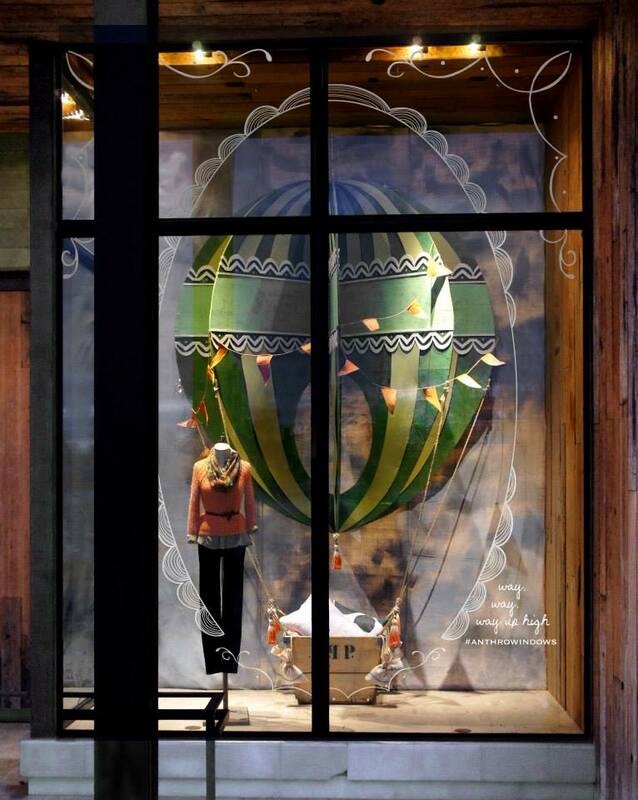 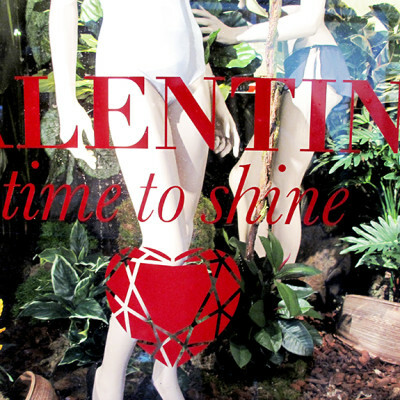 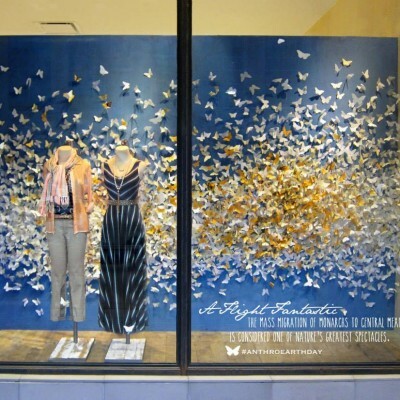 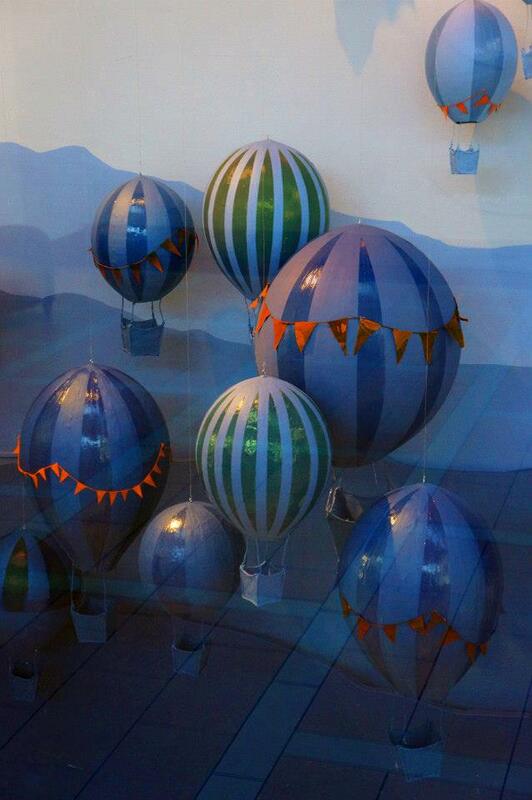 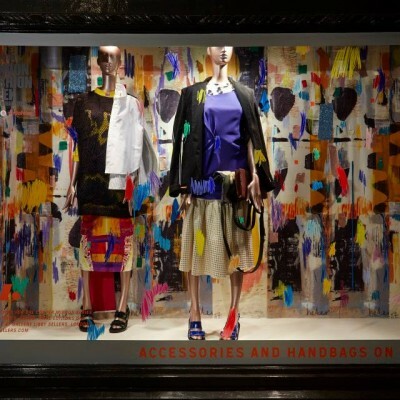 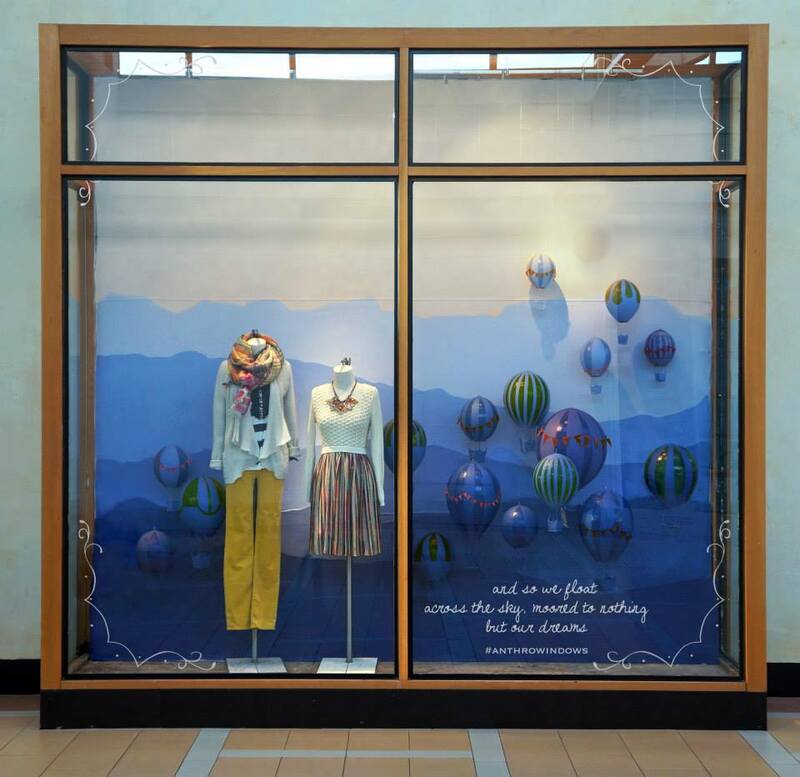 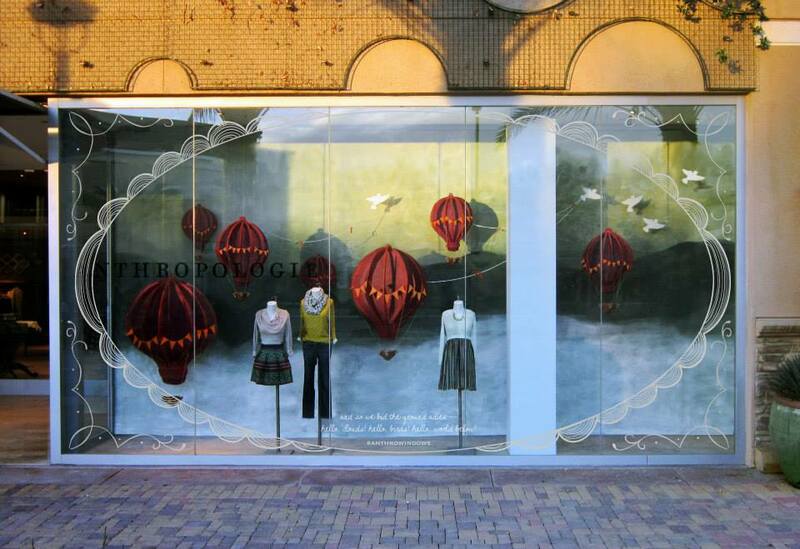 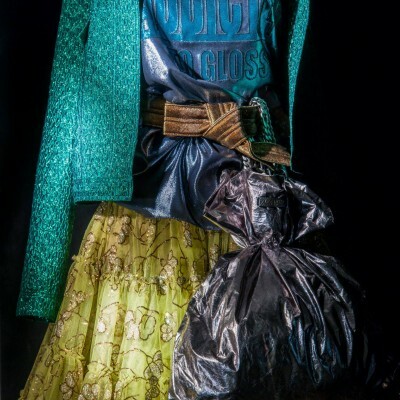 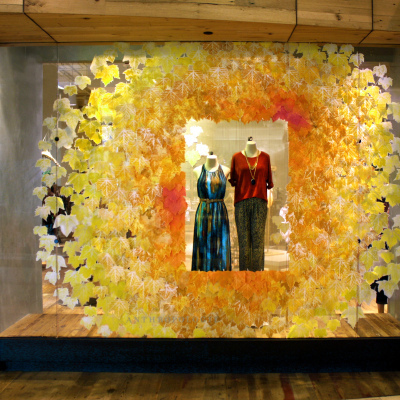 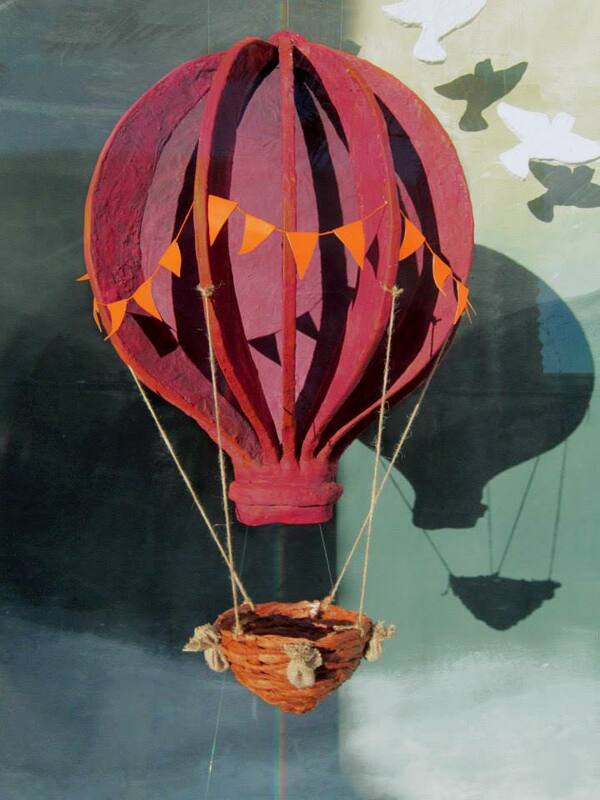 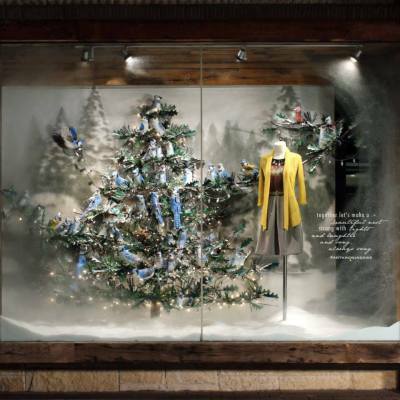 The visual team of Anthropologie created ‘Hot Air Balloons’ Spring window displays, taking passers-by on that adventure in the sky, ‘way, way, way up high‘. 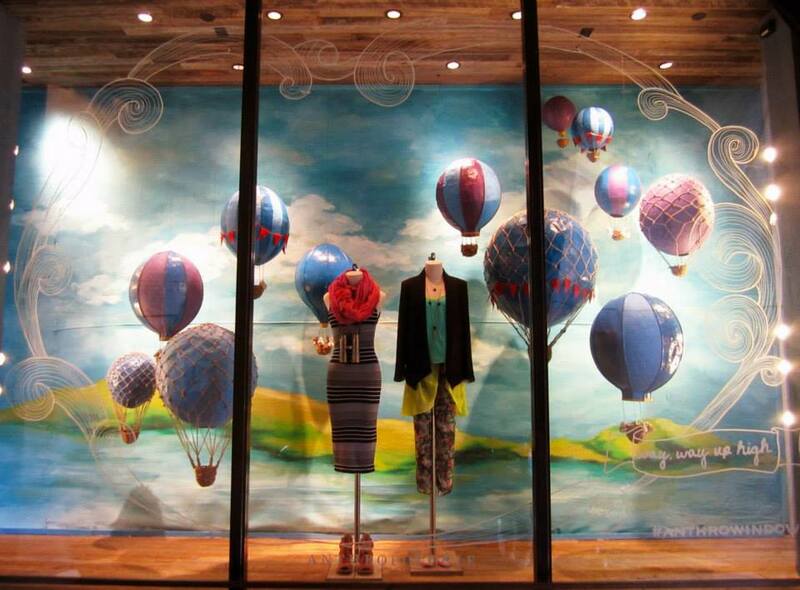 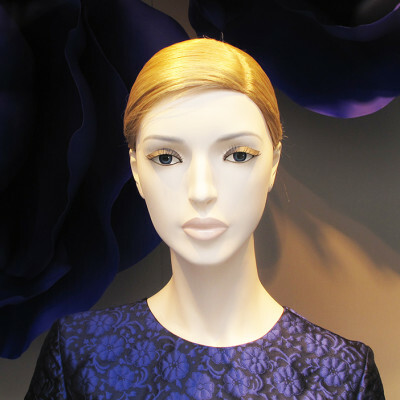 The hot air balloons in the windows are crafted of everyday lightweight materials, like tissue paper, burlap, canvas, etc. 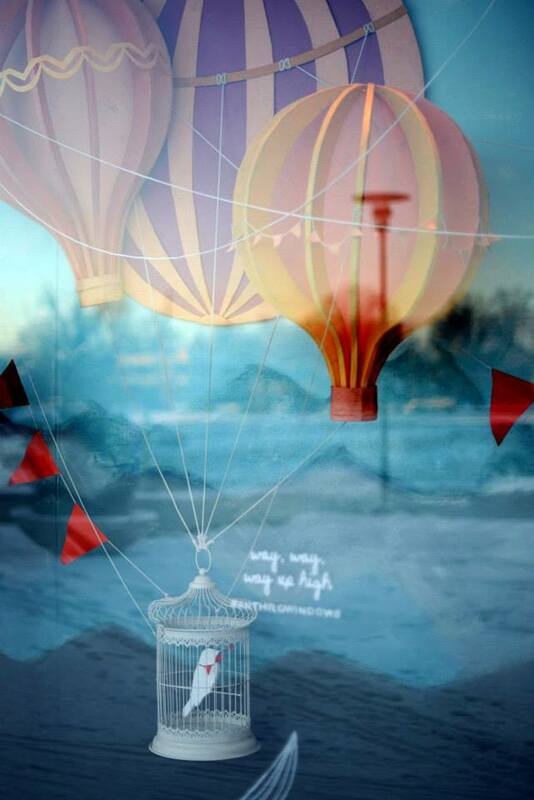 Dark red air balloons with white birds flying around. 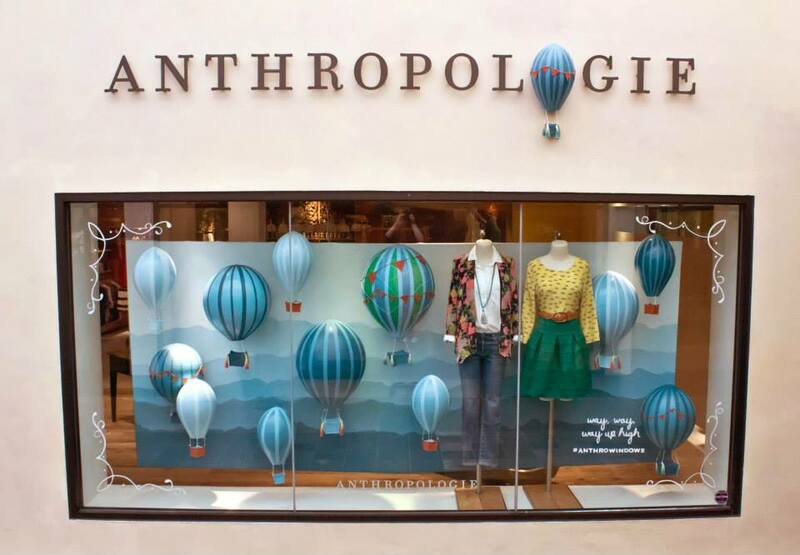 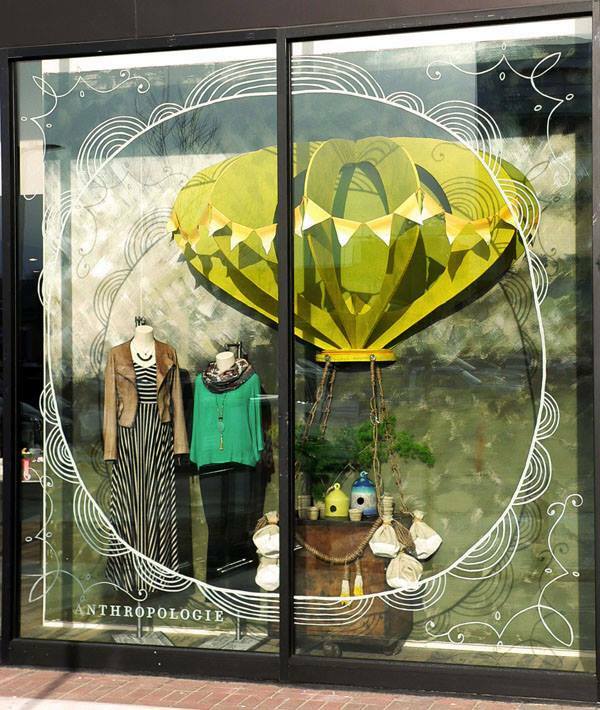 Creative thinking, covering the ‘O’ of ‘ANTHROPOLOGIE’ with a hot air balloon.